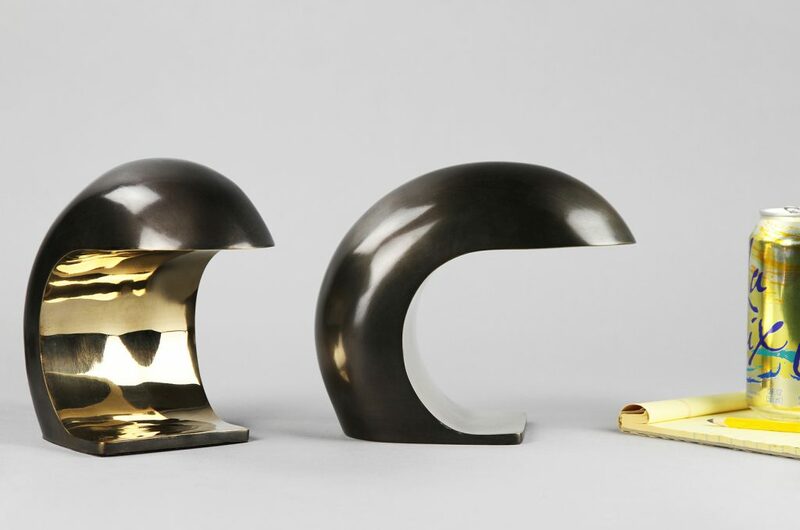 The Nautilus Desk Lamp in bronze or white bronze is the third and smallest addition to the Nautilus Series. 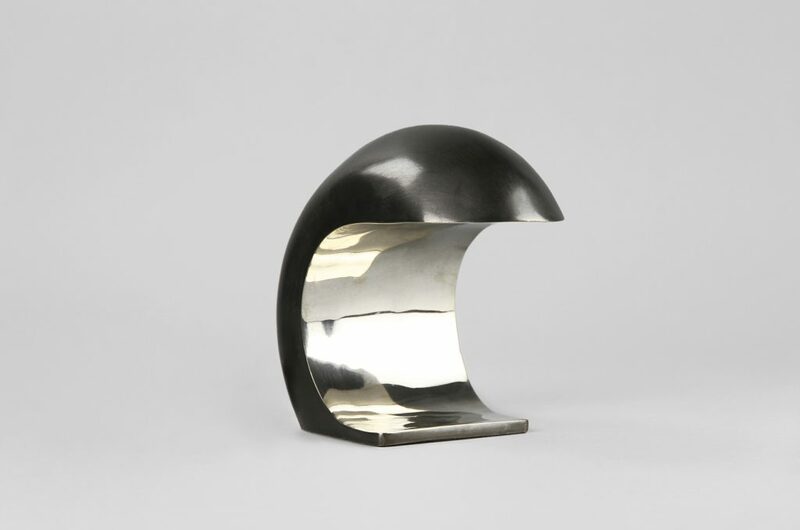 It is cast bronze with a patinated exterior and a high polished interior. 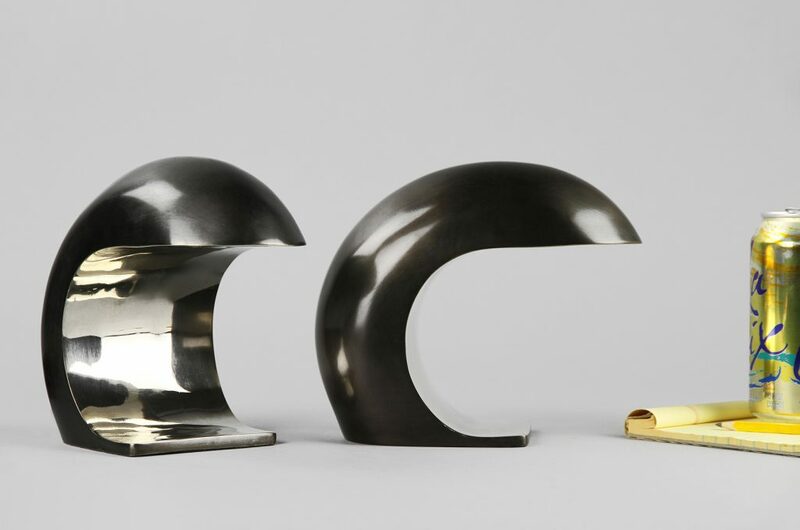 The high polished face will naturally patina over time. A 7W candelabra bulb is activated by a three-way touch sensor anywhere on the body. The cord is dark brown fabric covered. 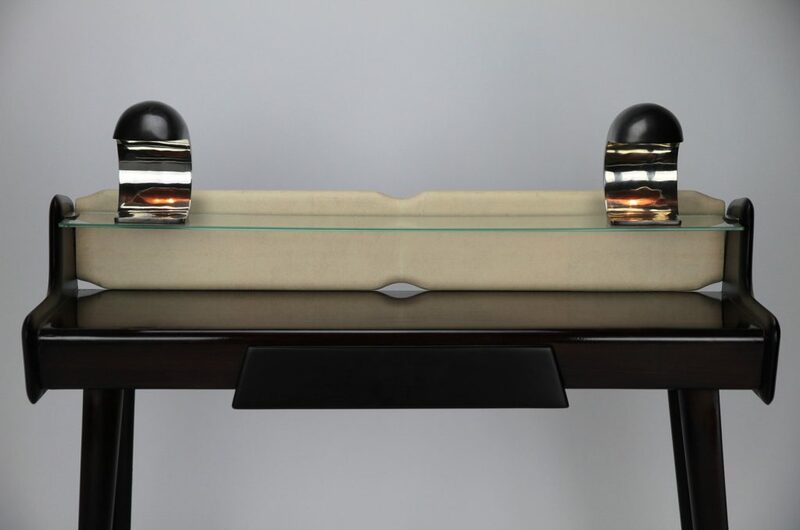 The lamp is signed on the back bottom. 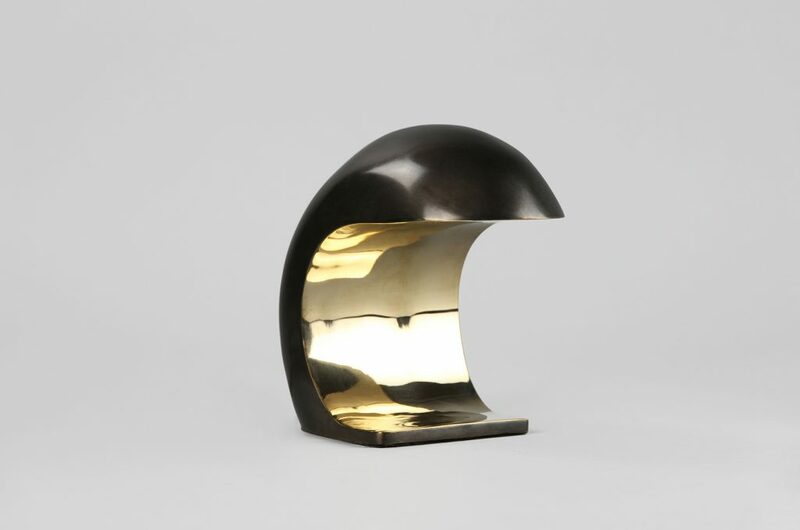 The Nautilus Desk Lamp works well in pairs and is the perfect size for a desk, cocktail tables, and consoles.